Altogether, I really enjoyed both books. I had never read anything by Rosoff before I read these two books but I already can’t wait to read more by her. How I Live Now isn’t the most uplifting, happy story, but it drew me in and made me laugh and also almost cry. 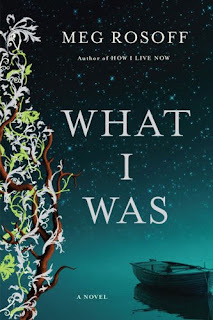 What I Was is a very slow starting book, but soon it made me never want it to end. I would recommend both of these books to anyone my age, and older, I really enjoyed reading them.